We are very, very, very excited to announce that the Hay Drive for 2018 is over!!! This is a huge deal for us and this program. It is one of those yearly things that hangs over our heads and takes up a lot of our time. To be able to put it to rest for 2018 is a huge weight lifted from our shoulders and we have a lot of really awesome people to thank for that. Once Dr. Jan and Geraldine S. see this and see the we did it and did it in less than 48 hours, I am sure they will be thrilled. You all made this happen for MHWF and the horses and we could not be happier about it. Before we close the Hay Drive up for the year, we also want to thank the people who made donations today and got us across the finish line. With that, we want to thank the following people for their donations today. Of course, we want to mention Geraldine S. and Dr. Jan one more time for putting the challenge out there and giving us the opportunity to finish the Hay Drive. Both of them have made numerous and very generous donations to this and together they took a huge bite out of the Hay Drive. Thank you very, very much Dr. Jan and Geraldine! That leaves us with everyone else who has helped spread the word, made their donations and helped up tackle the Hay Drive. We could not be more appreciative or have more admiration for each of you, because without you, MHWF, the Hay Drive and all that comes with it are not possible. It is that time of the year once again, time to start the MHWF 2018 Hay Drive. This year we are much more worried about the Hay Drive than we have been in previous years. It seems that since we took on the situation with the Lucky 13 horses, MHWF has been trying to survive on little to no income. Just about every penny we have taken in from every fundraiser we have done has gone directly into the care, feeding, hauling, training, vetting, vaccinating, trimming, Coggins testing, gelding and everything that comes with taking on 13 horses that were previously unhandled or vetted. Last we looked, we had spent well over $25,000 in this situation and are by no means near the end. Horses are now starting to come back from foster and training and pastures are quickly becoming full to capacity. At the same time, interest in adopting horses and donations seem to have dropped for the time being. We were very worried when the Lucky 13 situation was dropped into our lap and some of those worries are now becoming a reality. Our most important goal for right now is in raising the funds we need to make sure thet the winter's supply of hay is here and paid for before the cold weather hits. Our very first load of hay came in this week and there are many, many more coming over the next few weeks. Luckily, the good people who we get our hay from know us and know that we will eventually pay them for the huge quantities of hay we bring in each fall, but that does not make it any less stressful....to have a pasture full of horses, hay coming in and wondering and hoping that this year's Hay Drive does well. With all that being said, you, our supporters, have never let us down and in fact, the last couple of years, you have come through in a really big way and have taken care of the hay Drive in record time. This year has a feeling that is even more urgent than in past years and all we can do is be up front and honest about it and hope that our supporters are there once again to help us and the horses out. So, if you can help with a donation toward the 2018 Hay Drive, we can sure use it. Donations are tax-deductible and 100% of the funds raised for the Hay Drive go directly to the cost of hay to feed the horses this fall and winter. Making a donation to the Hay Drive is easy....simply send a check or money order to our office or use any of the "Donate" buttons on our website to send your donation with your credit or debit card, or PayPal account. We will reply back to every donation that is received. Please consider making your donation today. Time is always of the essence and this is not a year that we can even consider failing to meet our much needed goal. 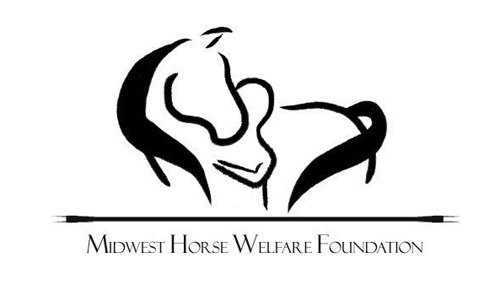 Your donations go directly to the cost of hay to feed horses currently waiting for their new families at MHWF. Please help us help them.